Portable student resource for your Qualified Electrical Workers who complete their training using the ESTS. These Handbooks are essential to reinforce the knowledge transferred using the ESTS e-Learning. Electrical Workers use the Handbook to access the Resource Toolbox items referred to throughout their online training experience. 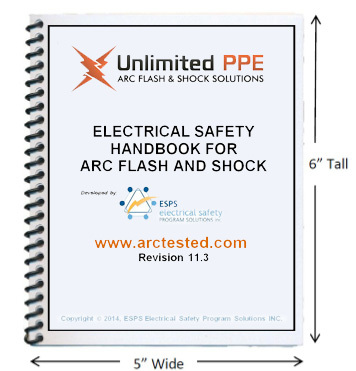 Handbooks are available with your company logo, contact Unlimited PPE Inc. for more details.